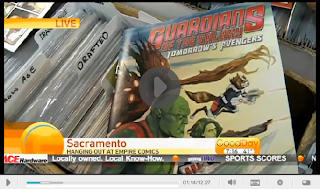 The fine folks from Good Day Sacramento stopped in to talk to Ben about Guardians of the Galaxy. Ben provides some background on Guardians that comic book neophytes will find helpful. Does Superman have the right? Okay, so I'm finally watching Justice League for the very first time. The first three episodes are a three-part story that ends with the scene you see pictured. Superman says to Martian Manhunter, "We'd be pleased if you could learn to call earth your home." In other words, one extraterrestrial is inviting another extraterrestrial to call earth his home. And that begs the question, does Superman have the right? What do you think? 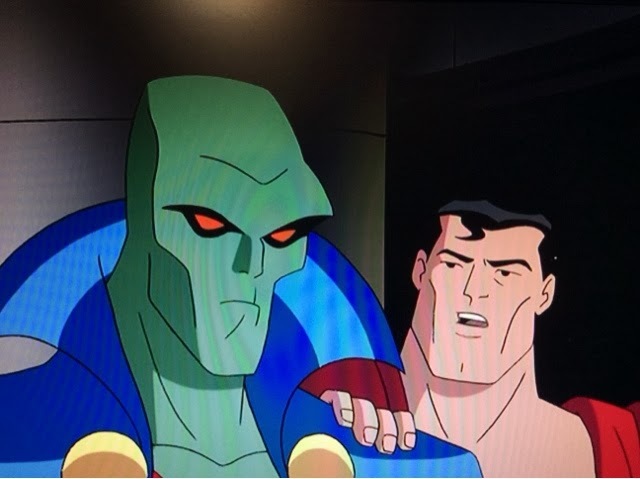 'Batman vs. Superman' Rumors: No Martian Manhunter, Aquaman, & More!